It is becoming more common in the wedding industry for planners to operate out of one wedding venue rather than work as an independent business. 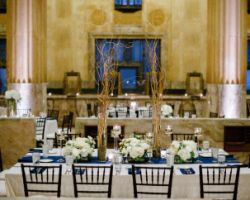 This means that when you want to have your wedding at The Skirvin Hilton, you will have access to one of the best wedding planners and events teams in the city. Since the team knows every inch of the venue and every dish on the menu, they will be able to help you create a unique ceremony and a fun party. Celebrity weddings always look flawless because they have the help of planning companies like Bill Veazey’s Party Store. For over 50 years this store has provided wedding rentals as well as event planning and consulting. At your initial free consultation you will discuss the style you would like as well as how to stay on budget throughout the planning process. After that, you will work closely with the planner to make sure every box on your checklist has been ticked to create a memorable event. The mastermind behind Whimsical Weddings and Events is Sacha Patires, the best wedding planner and events designer in the business. Not only does this woman command a team of experts, but she creatively designs events to suit her clients needs and style perfectly. She will find you vendors that fit in your budget as well as create an atmosphere that everyone will enjoy. You will truly be able to enjoy the planning process with this team of experts guiding you through it all. 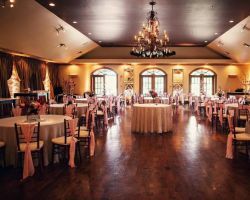 Dolly Levi’s Event Design Studio is a company of expert Oklahoma City wedding planners who have created beautiful events of all kinds, though they specialize in weddings. This planner works closely with the couple to create a unique event design that focuses on the elements that are most important to them. 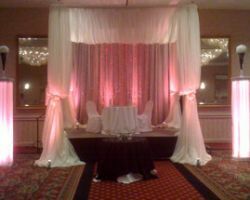 This creates a romantic experience for the couple and a more intimate atmosphere overall. You will certainly have a memorable wedding day with the help of this professional planning company. Coles Garden is a wedding planning and event company that works to eliminate any stress for the couple so they can enjoy the planning process and the ceremony to the fullest. They do this by helping the couple plan every aspect of the wedding from the transportation to the details on the cake. The couple is in control with this company, while the certified consultant works with the vendors to make the entire thing come together on the big day. 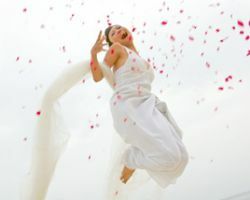 Finding a wedding coordinator who truly understand your uniqueness as a couple as well as your culture is important, which is why many couples turn to Unique Weddings and Events by Ja Ja to help them plan a personalized and beautiful wedding day. This planner has a wide-ranging experience that has covered everything from planning Indian and Pakistani weddings to traditional Oklahoma ceremonies. 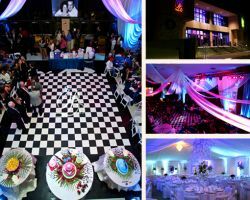 This top planner will help you come up with a design for the event and then execute it beautifully. Wedding planners in Oklahoma City, OK have to be more than artistic and caring, they have to be unique enough with fresh ideas to meet the demands of local brides and couples looking to plan a destination wedding. Leslie Herring Events acts as a pre-wedding consultant, beautiful event designer and organizer for the entire thing. With a variety of packages for couples to choose from, the planner can be as involved as they would like her and her team to be.